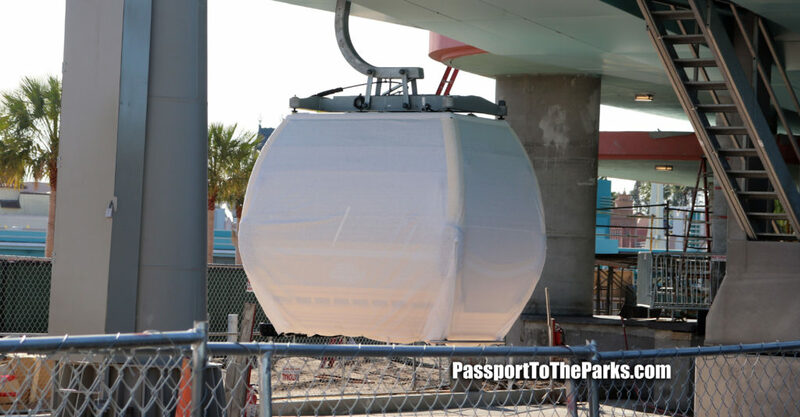 The new Disney Skyliner Gondolas Have been starting to appear all over property. Hollywood Studios had a beautiful gondola on full display this afternoon. Crews were hard at work above the gondola making sure everything was in alignment and secure on the track above. 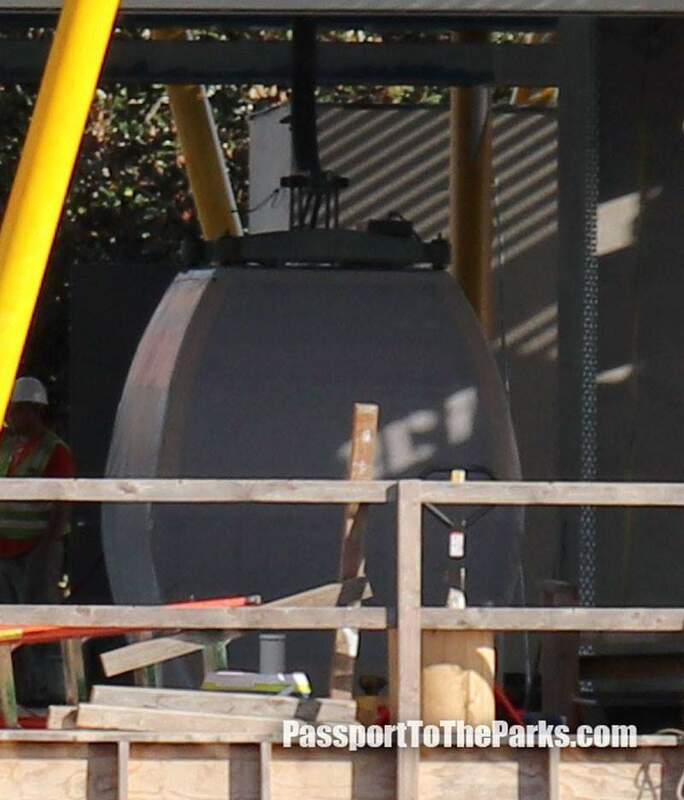 The station gondolas will be used to test the inside tracks as well as the loading areas. 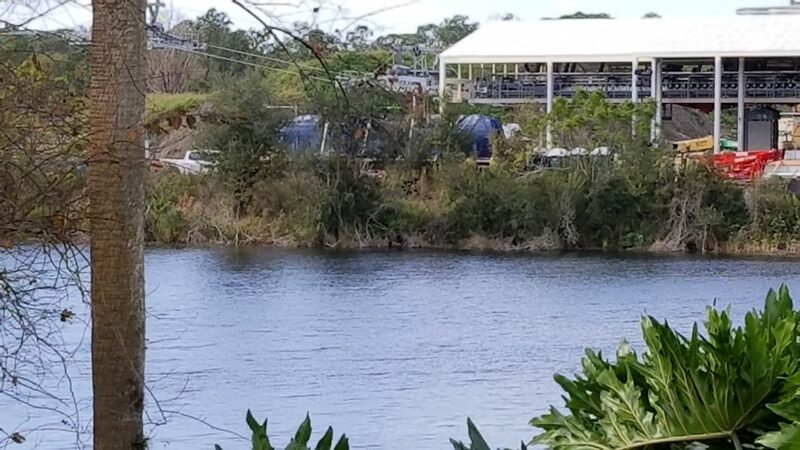 Here are some wonderful shots of the skyliner gondola. 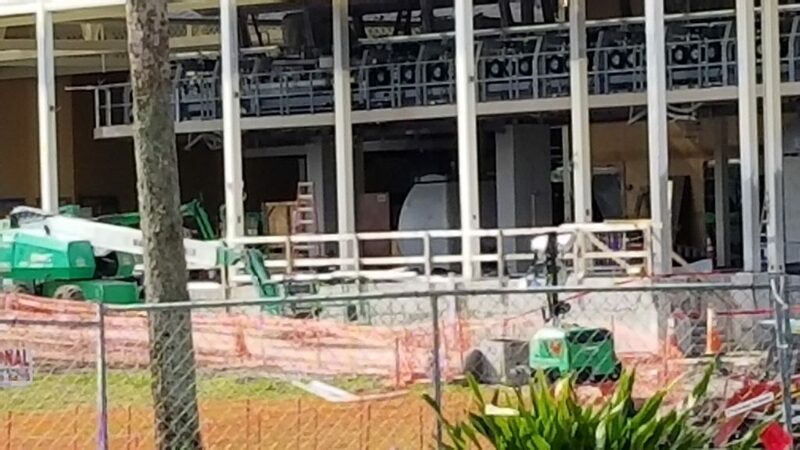 I am hoping that Disney will leave the outer wrapping on until they are ready for a grand unveiling. 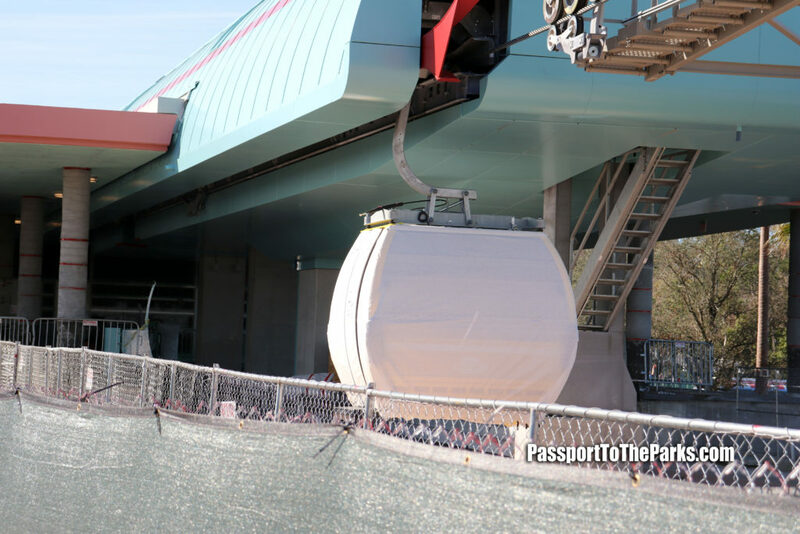 There will be approximately 150 gondolas in total once the skyliner is fully operational. We can expect about 100 to 120 gondolas running under normal conditions. 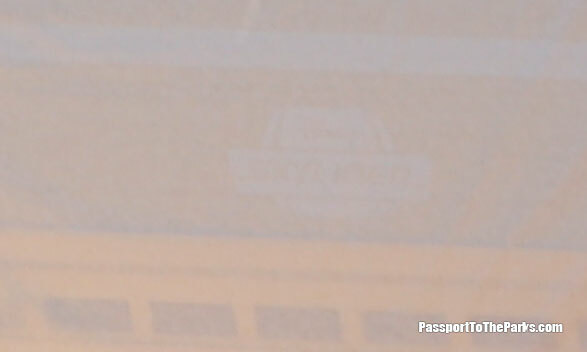 The Gondola at Epcot’s International Gateway has been pretty active over the past few days. 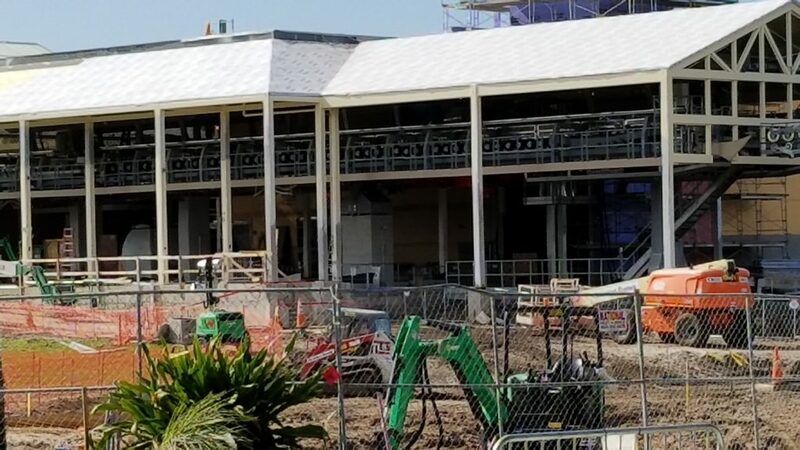 The station at Disney’s Caribbean Beach is also starting to fill up with gondolas. 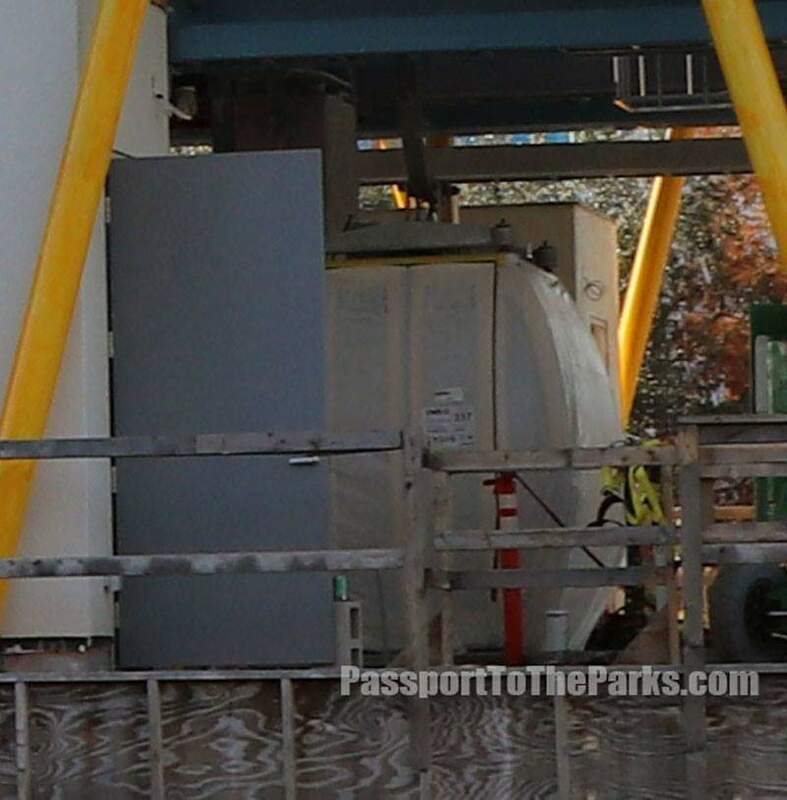 One gondola is secure inside the station for testing, but there are actually about 30 gondolas onsite. 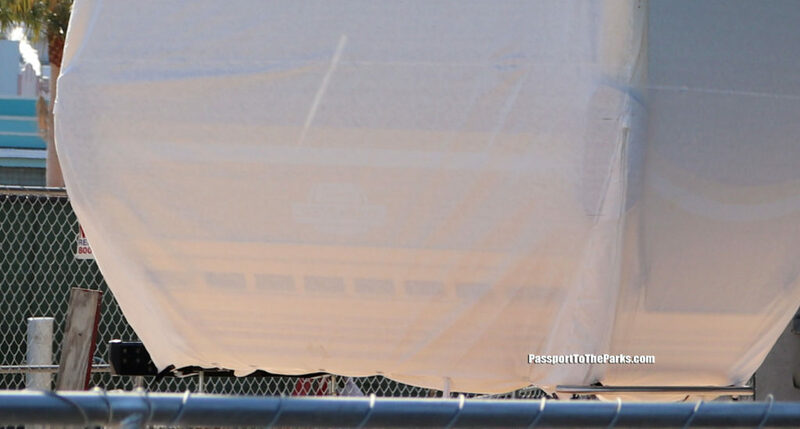 The storage rails in front of the station currently are housing about 25 gondolas and there are 4 more on a flatbed behind the station under blue canopies. Disney’s Pop Century and Art of Animation was the first to house a gondola. This particular vehicle has been docked for over a month. 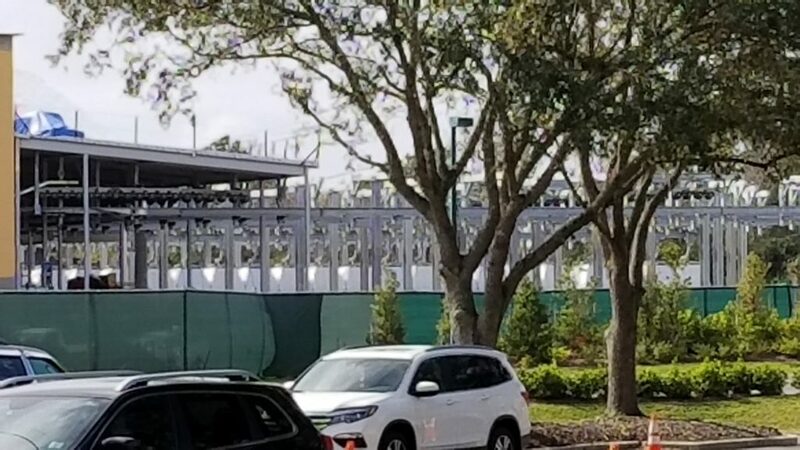 The Disney Skyliner is set to open by the fall in time for Star Wars Galaxy’s Edge. 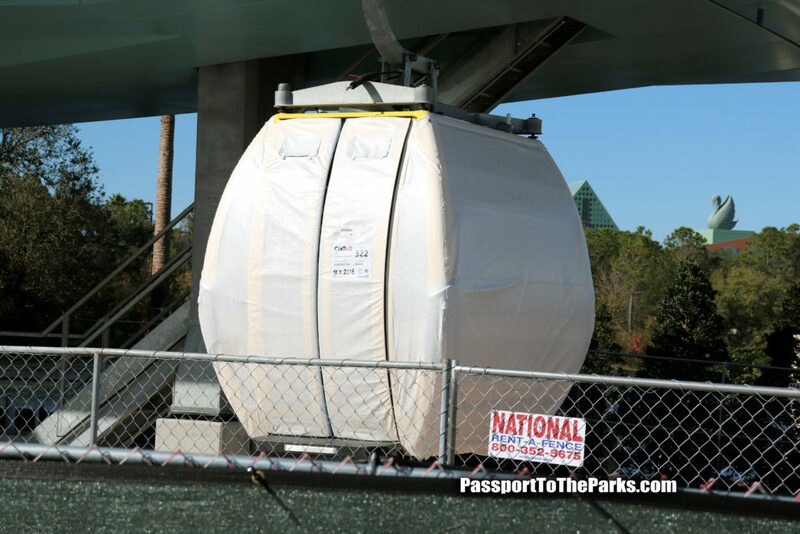 Make sure you follow PASSPORT TO THE PARKS for all your Disney Skyliner updates! I really enjoy the videos and all the updates you provide in your videos. I have watched several more of them and find them full of information. I do have one request. Please be mindful of smacking through the videos. I’ve noticed it is something you do throughout your entire videos, some or more than others. 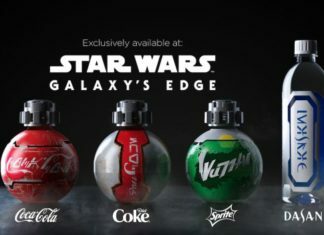 It’s a little much and has made me stopped watching some of the videos. Other than that…. love everything you talk about. Thanks so much for the comment. I may be a little unclear what you mean by smacking? Something while I am talking maybe? I probably don’t even realize whatever it is.